So you have finally decided to make it Gold Coast Australia for watching Commonwealth games 2018! That’s great. Australia is a very beautiful and charismatic location offering a load of fun filled activities to it visitors. Gold Coast offers best sea food options at best restauras. There are lot many options for seafood lovers including a visit to Nobby’s Beach. Coffee enthusiast would enjoy sipping coffee at the beach. How about visiting the nearby beaches since Australia is a land of beaches. 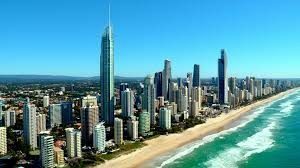 The best way out is to hire a bike easily available and drive towards Mermaid Beach, Burleigh Heads and Burleigh Headland National Park, then visiting Currumbin Wildlife sanctuary which offer feeding the kangaroos along with watching other wild animals. 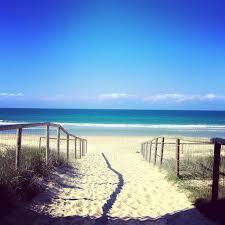 Gold coast itself is a golden sand beach offering a wild range of water sport activities including snorkelling, diving and surfing. You also find a surfing school for new comers which offers private lessons on surfing. One should not miss the scuba diving experience when in Gold Coast. Theme parks in Gold coast add up to the entertainment as you wade through them. The water theme park Wet n Wild, Warner Bros Movie World, DreamWorld and Sea world which is marine park. To visit all the parks a single Mega Pass may be purchased which gives access to all these locations barring some exceptions. Whether you are terrified or love it, but should not miss the opportunity of free falling from a height of 12000 feets. Sky diving at Gold coast will unnerve you and leave speechless the experience it gives. Truly amazing when you fall from this big height and land on the golden sands beach. There are multiple options to hit your sports adrenaline by visiting any of the golf courses. Private as well as public golf courses are available as a favourite sporting activity when at Gold Coast.